British scientists have developed a new smartphone app that can help measure and monitor blood glucose levels without using a drop of blood, a finding that can transform lives of millions of people with diabetes. The app — called as Epic Health — replaces the need for diabetics to prick their fingers several times a day. The app, suitable for both Type 1 and 2 diabetics, works by placing a fingertip over the camera lens of a smartphone and capturing a series of close-up images that convey information about the user’s heart rate, temperature and blood pressure to respiration rate and blood oxygen saturation, the researchers said. “The app uses a simple protocol which prompts the user to take a noninvasive test and this allows us to capture the vital information in a systematic way which produces the most consistent results,” Dominic Wood, founder of the app, was quoted as saying to the express.co.uk. 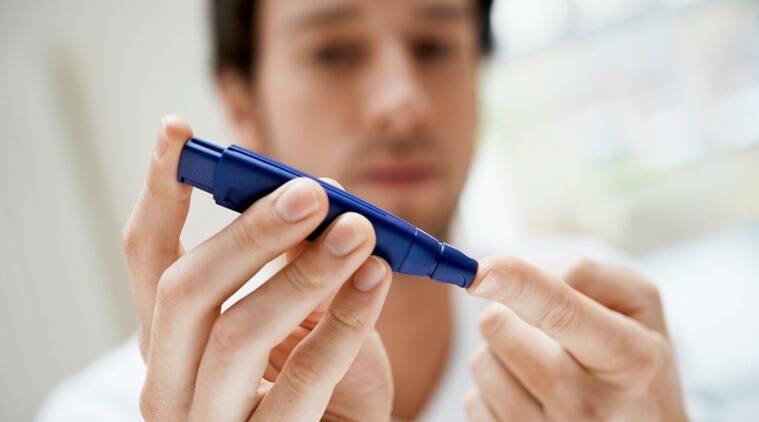 “This is a massive driver of prevention,” and even targets, “everyone yet to be diagnosed with or in the general risk of diabetes when it’s still preventable”, Wood added. Importantly, the Epic app can measure insulin resistance level — a key way of determining whether someone is pre-diabetic. It does this by measuring the variation in the patient’s pulse which is related to blood glucose concentration. This would allow someone to alter their lifestyle to avoid developing full-blown Type 2 diabetes, the researchers said. “The prospect of a non-invasive app that monitors blood glucose levels without a drop of blood and without even an accompanying piece of technology is an exciting one,” said Dan Howarth from Diabetes UK. The app, which has been in development for three years, will undergo clinical trials in the coming months. It will be available to download, free of charge, by the end of the year, the researchers said.